Most people like to believe that age is just a number with years passing by, the effects of age start showing up on our face. And most of these effects can’t be ignored as they’d staring right back at you in the mirror. Those fine lines eventually turn into wrinkles. The firmness and suppleness of your skin turns into saggy and soft profile. These are the age factors and it’s only natural. With time, gravity catches up and all we want to do is turn back the time. Now imagine if you could do just that? What if we told you that you can now regain your skin’s youthful appearance within 30 minutes? That too without surgery, with no downtime! Wondering how, read on to know more! If you thought that only going under the knife will yield amazing results, then we’d like to enlighten that with Silhouette Soft, you can regain your sin’s youthfulness. Silhouette Soft is a non-invasive treatment that yields the results equal to a facelift, without the risks of a surgery. Yup, too good to be true! Bring back your skin’s youthfulness, firmness without ever going under the knife. This treatment redefines the contours of your face lifting the lower jaw and adding volume to your cheeks and cheekbones. And that’s not all! 30 minutes is all you need to get the procedure done, and you can see the results immediately. And there’s more! With time, as the weeks and months go by, you will continue to see the improvements in your skin’s elasticity and firmness, and fine lines and wrinkles will be further reduced. The results continue to show up to 18 months after the treatment. The best part, we know! The treatment involves the use of Polylactic acid (PA) sutures with tiny bidirectional thread cones, and they help in firmly lifting your face and holding your skin up. Take that, gravity! This is a naturally occurring component and is biocompatible and gets re-absorbed by one’s body within few months. It’s also important to note it has been in use for several years in various medical applications and has shown great results. In short, Silhouette Soft gives immediate results, and works with nature rather than against it. Ever wondered what causes skin ageing? Loss of collagen is the main culprit. Ever pinched your skin and seen it bouncing back? That is the work of collagen (at best). This particular protein is the reason behind skin’s elasticity and regeneration of the skin tissue. As one gets older, this reduces over time and no longer does its job effectively. This turns out to be every woman’s nightmare in the form of volume loss, sagging skin and wrinkles. But this doesn’t have to be the end of youthful skin. All collagen needs is a little push to get back up and running and produce similar youthful results. And this is exactly what Silhouette Soft double action does. When it comes to other anti-ageing solutions, you can restore loss volume with fillers or you can an invasive procedure to tighten skin. But Silhouette Soft, you can yield both results in one. During a 30-minute procedure a suture is effectively and painlessly inserted just below the skin’s surface. This causes the tissue to compress. This is step one, after this the expert dermatologist will place light pressure over the treated area to lift and smoothen out your skin. This acts as the first result and offers an immediate lift effect, which is discreet yet noticeable. The second result from the treatment is the regenerative effect that happens gradually and naturally through the process of re-absorption of the component as it works towards restoring the collagen that you’ve lost. The polylactic acid aims to work on your skin from the inside out, further adding more definition to your features, and increases volume for up to 18 months after the procedure. Your expert dermatologist will be able recommend a combination of treatments including Botox and Fillers to achieve the best results and bring your best skin to life. The best part about Silhouette Soft is that it doesn’t hurt at all. A local anesthesia is use prior to the procedure, so you can be assured and your comfort is never compromised. There might be slight swelling after the procedure but nothing that won’t disappear quickly. Almost too good to be true! With Silhouette Soft you can gain so much with just one treatment and the results are immediate to see. Firstly let’s just call it a 30-minute miracle. Secondly it’s all natural, aiding in to the ‘nothing artificial for me’ philosophy. Thirdly the component will eventually be fully absorbed by your body, so one doesn’t have to worry about any short-term and long-term discomfort. There’s also no downtime involved and lastly youthful skin is back! A beautiful and subtle skin life and major confidence boost! You may wonder as to such an amazing procedure has no side-affects? But let’s elaborate on that a little! The side-affects include all the admiring gazes that will be thrown your way after the procedure. Your healthier, younger-looking skin will invite more compliments that you can handle. 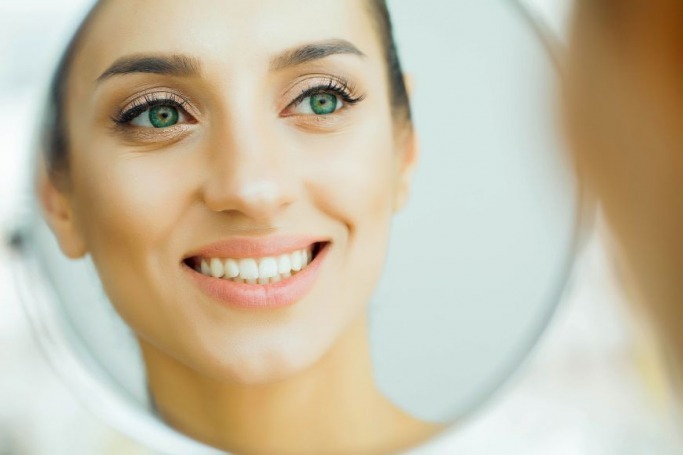 And the best part is whenever you look at yourself in the mirror, all you’ll see is a more youthful you, a lifted jaw line and reduced fine lines and wrinkles. An improved facial contour and your newly found confidence. Here you go! If what you’re looking for is younger looking skin without the hassle of surgery then this is the treatment for you! Go ahead, call and make yourself an appointment immediately. Nothing should stop from getting the youthful glow of your dreams with Silhouette Soft!